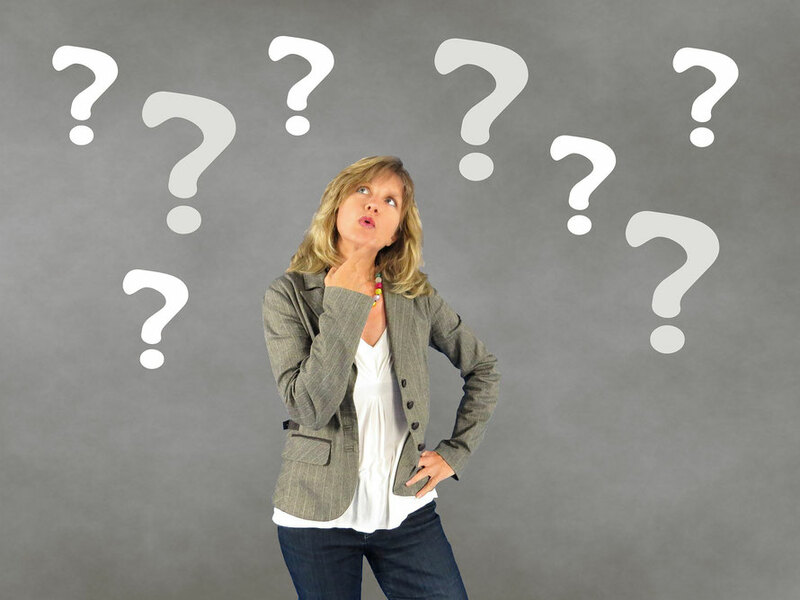 Are you confused, overwhelmed and exhausted after trying to decide what and how to eat? I get it! With all the misleading information out there it gets hard... If you hate the idea of being hungry or killing yourself in the gym but you still want to make sure you are on the right path, this post is for you. You can learn what and how to eat in 3 easy steps. The problem is that we tend to use one or another according to what we know more about or what is easy for us to apply. But all these aspects related. How to eat is as important as what to eat, and both aspects are necessary, although some will resonate with you more than others, depending on your personal struggles. But they all are related to each other, so you should pay attention to all of them. Let’s see what those 3 strategies are and how can be apply them in real life! This is the most underestimated strategy to get in control of your weight, but the most straightforward of the three strategies. It is important that you memorize and follow the healthy portion sizes for each group of foods. 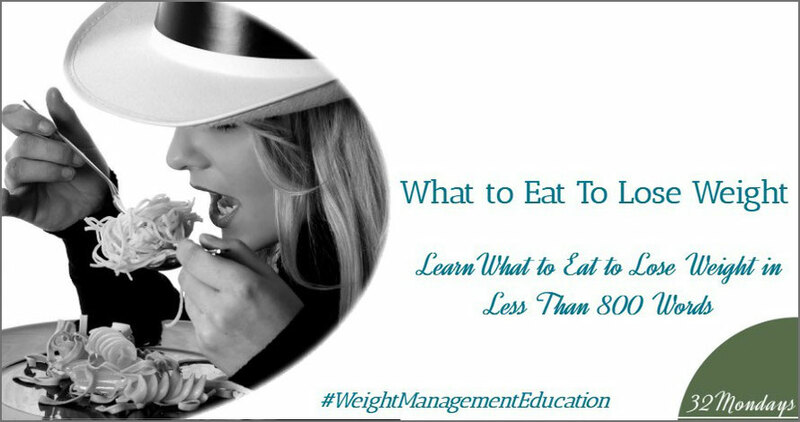 If you want to eat to lose weight, the goal is to eat only as much as your body needs. The question now is to know how much your body does really need. You can download the complete list of the portion sizes here in the free subscriber’s only section of my website. The goal with this strategy is to combine your meals the way that you can stick to the healthy portion sizes you learned with the strategy #1 and still feel satiated. Except the night meal, which shouldn’t have carbs. Why you shouldn’t eat carbs at night? The answer is that because it will help you lose as much weight as possible while you sleep. The Human Growth Hormone (HGH) burns fat when you sleep, but to work properly, it needs to have little easy accessible energy available, otherwise it won't “dig” into your fat reserves. The hormone Ghreline is a hormone that helps HGH work much better during your sleeping time, but is activated only when low levels of glucose are detected. If you want to be able to stick to the healthy portion sizes you need to eat 4 to 5 times a day, because if you don’t you will be desperately hungry before the next meal and won‘t be able to stick to the healthy portion sizes. You can read this post about why you shouldn’t skip meals. You can download the menu template with the composition of meals in the subscriber’s only section of my website. Before: Two slices of bread with marmalade in the morning (too much carbs but no protein). After: One slice of bread with some butter and ham or cheese. This small change allowed this person to stay satiated longer in the morning and started losing weight instantly. 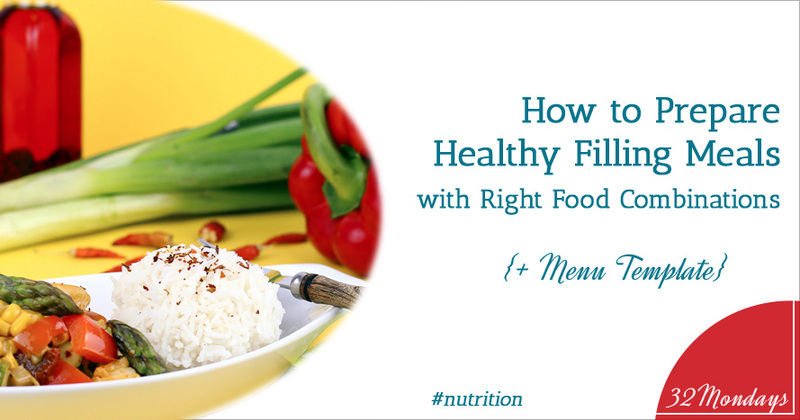 You can also red this post about how to combine foods to prepare healthy filling meals. That your meals need to be balanced (Strategy #2: Combination of Meals). How should I choose what to eat? Should I choose bread, rice or pasta? Is it better to eat banana or watermelon? What’s the difference between white or whole-grain bread? The goal with this strategy is to keep your glucose levels steady to avoid insulin peaks so you don‘t have food cravings and hunger attacks that lead to overeating. GI measures how much will glucose level rise when you eat something: Measures quality of the carb. Carbs that break down slowly and release glucose gradually into the bloodstream, have a low GI. To get in control of your weight you should avoid foods with high GI, or at least eat them together with protein and fat to reduce glucose levels and avoid insulin peak. Always remember than the more fiber food contains, the lower is its GI. GL measures how much carbs a food contains. It’s a measure of the quantity of the carb. And depends directly on GI and on how much carbs a specific food contains. Why should GI and GL be considered together? 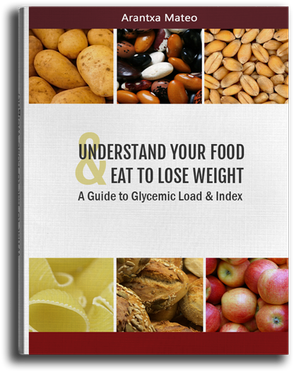 Glycemic index is defined for each type of food while glycemic load is calculated based on the amount of carb in the food you eat and the quantity you eat (portion size). So, even if you eat a food with low GI you may end up eating a meal with high GL if you eat too much! 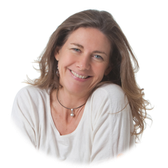 If you are interested in learning more about GI and GL and how to use it to get in control of your weight you can download my free e-book here. Now I want to explain to you how to specifically apply those 3 strategies with 5 lessons. Stay away as much as possible of foods that have high GI & GL values (potatoes, rice, white bread, pasta, sugars) and eat more foods with low GI & GL values (fruits, vegetables, beans, nuts, whole grain bread, yogurt). Substitute the foods with high GI & GL for the ones with lower values. For example, choose whole grain bread instead of white bread. Stick to the portion sizes and then you can eat your pasta, which has low GI (quality of carbs), but high GL (quantity of carbs per portion). Put your meals together wisely so you always have the high GI & GL food with some protein and fat, which will slow the absorption of the sugars and will keep you satiated till the next meal. If you use those 3 strategies and apply those 5 lessons, you’ll be able to eat just what you really need and stick to healthy portion sizes, and start losing weight in a steady way. How are you feeling, is it all clear for you or do you still have questions? How can I be sure this will work for me? Which steps are more important for me? Will I be able to apply the concepts I learned? How can I eat my favorite foods? Will I have to exercise? How much? and many that you haven’t thought of yet. And if still have questions you can schedule a FREE 20 minutes Health Assessment Session with me. Which strategy are you planning to apply straight away? I have been under eating for years and am now wanting to lose body fat and build muscle. I used the IIFYM calculator to figure out what I should be eating on a cut, which is a lot more than what I usually eat. I am not seeing a change on the scale, either up or down,I feel and look stronger though. Is this because my body was in starvation mode and now has to adjust to the increase in calories? If I continue to stay at the same weight should I adjust my macros lower? Thanks so much for stepping in and for your comment. Undereating is common among people trying to lose weight and as you said, in many cases it makes your body be in a "starvation mode". If you still need or want to lose weight keep the advice I have given you specifically in this post. If you want to lose body fat and gain muscle, you need to increase the amount of exercise you are doing. That doen't mean to kill youself in the gym, just being smart in what you do. 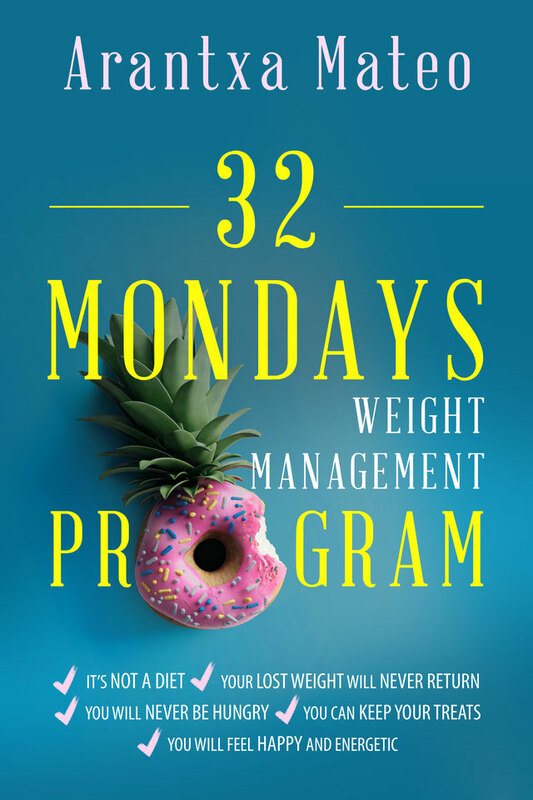 You have many suggestions in my blog: https://www.32mondays.com/blog/weight-management-exercise/ and stay tuned because I am about to publish some more info in a guest post that I will share with you very soon! There is no need o make huge changes or adjustments on your diet. Again, just keep the advice I'm giving you in my post and keep being smart with what you eat!